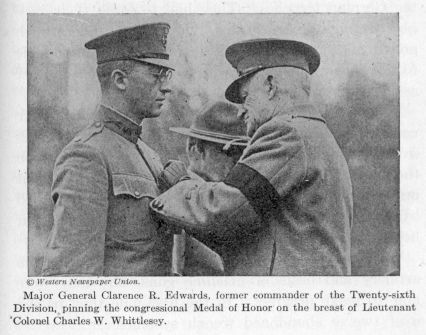 Major General Clarence R. Edwards pinning the congressional Medal of Honor on the breast of Lieutenant Colonel Charles W. Whittlesey. Major General Clarence R. Edwards pinning the congressional Medal of Honor on the breast of Lieutenant Colonel Charles W. Whittlesey. .